Stocks fell Thursday after reports that a Malaysian passenger plane crashed in Ukraine. The Dow Jones industrial average, which had risen after the start of trading, abruptly dipped after news of the plane's disappearance. The index, which on Wednesday closed at a record 17,138, fell 161 points on the day to close at 16,977. The Standard & Poor's 500 and Nasdaq composite indexes also declined. A Ukrainian government official said the Malaysia Airlines flight, a Boeing 777 flying from Amsterdam to Kuala Lumpur carrying 295 people, had been shot down over a town in Eastern Ukraine. The plane had been flying at altitude of 33,000 feet when it was hit by a missile fired from a Buk launcher, said Anton Gerashenko, an adviser to Ukraine's Interior Minister, on his Facebook page. 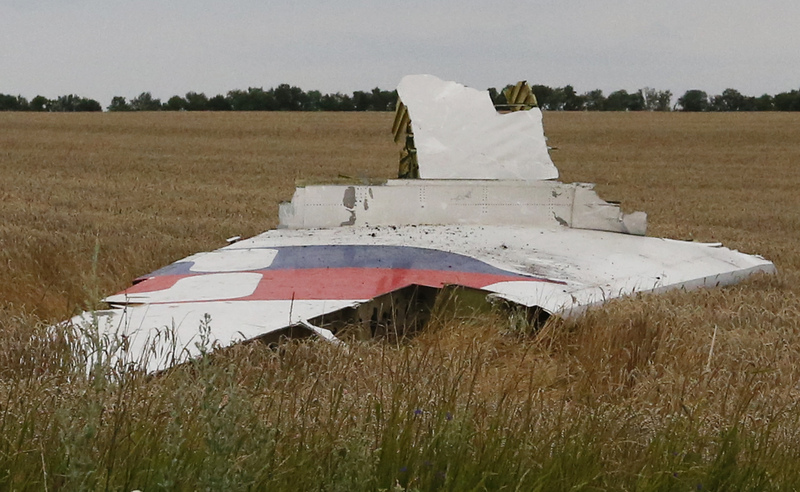 The U.S. State Department hasn't yet confirmed the cause of the crash. Although details of the crash remained uncertain, airline industry stocks also declined Thursday after news of the incident. The stock price of American Airlines (AAL) fell 2.5 percent, to $42.38; Delta Air Lines (DAL) lost 2.2 percent, to $37.02; and United Continental Holdings (UAL) decreased 2.5 percent, to $43.73. Airline stocks often fall following news of plane crashes. "What the markets are focused on is what caused" the crash, said John Canally, economist and investment strategist with broker-dealer LPL Financial. "Is it a worst-case scenario where Putin ordered his guys to down the plane, was it simply a mistake and it was shot down by accident, was it a mechanical failure? That's what investors are trying to determine right now." Shares of Boeing (BA) slid immediately after reports of the crash, but have since inched up into positive territory. "Our thoughts and prayers are with those on board the Malaysia Airlines airplane lost over Ukrainian airspace, as well as their families and loved ones," Boeing said in a statement. "Boeing stands ready to provide whatever assistance is requested by authorities." Investors have mostly shrugged off fears of geopolitical risks in Ukraine in recent weeks despite ongoing fighting in the region. Despite today's dip, market may also end up taking today's plane crash in stride, said Richard Peterson, director of global markets intelligence at financial research firm S&P Capital IQ. "Whenever an unfortunate event occurs markets react diversely, and sometimes as more information is received and clarification occurs, we see a rebound," he said. By contrast, new U.S. economic sanctions against Russia over its role in the conflict are raising investor concerns that the dispute could intensify, and today's incident may well aggravate those fears. Canally said investors are weighing news of the Malaysia Airlines crash against the broader U.S. backdrop, which has been improving of late. It remains to be seen whether the incident causes tensions to flare between Ukraine and Russia, roiling the global economy and raising the risk of a major downturn in equities. "There's always something on the geopolitical front that's an irritant to markets," he said. "There was the Arab Spring and ISIS in Iraq, so this is the latest of these. But if it's truly a major escalation, then it's a different story."